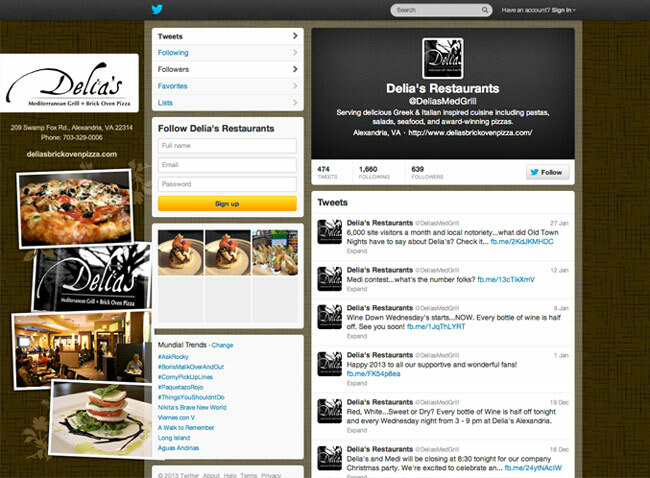 Delia’s twitter background showcases some great photos of their food and restaurant, allowing users to visually see what they are all about. They also provide some contact information so users can get in touch if they need to. The look of the background falls in step with their website and other marketing materials.